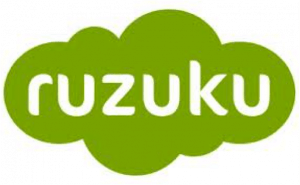 Ruzuku is an online course platform, with a focus on making it “ridiculously easy” to put up your online courses. As a software as a service (SaaS) platform, Ruzuku relies on attracting and retaining their users (known as instructors) and empowering their instructors with tools to create ever better online courses. Abe Crystal is one of the co-founders of Ruzuku. At the time of this writing, we have worked together for just about 2 years, and with notable results. When we first began working together, Ruzuku’s biggest area of focus was to stabilize their income generation and business model. We decided to focus on doing this through an emphasis on their consulting, teaching and done for you offerings. In the first few months of our work together, we generated a 295% increase in their revenue through courses and consulting. We stabilized their service offerings and service delivery, enabling them to effectively work with more clients in an efficient way. They have continued to utilize these strategies effectively. This year, we are focused on helping them grow the SaaS aspects of Ruzuku, focusing on increasing the number of free trial subscriptions, and improving their conversion from free trials to paid. We’re also working on improving their online reach through content marketing, and helping them grow their online community, while strengthening their relationship with their instructors and current users. We are working on lead generation, building reach and community, and then testing ways to monetize their services more effectively. Our work, right now, focuses on popularity, profitability, and optimization. If you’d like results like these for your business, let's talk!